“FC Osaka” is a professional football club which sets its goal to become the third J Club from Osaka. The Biobank has supported FC Osaka since 2012 as a main sponsor. In 2014, the team was proudly promoted to JFL and our support to the team continues to achieve their goal on promotion to J3. We not only support the team as a sponsor but also held the dietary seminar for the players to have better understanding of nutrition. We also give advice on their food by our administrative dietitian to strengthen their condition. With this useful experience and knowledge we got from the practice of the nourishment instruction to such professional athletes, we give advice to the children of local soccer school and their parents by way of food education seminars. And through those actions, we have started educational activities of food, sports and building up their bodies. An agreement of continued title sponsorship between BIOBANK and FC Osaka has been made for 2018 season. 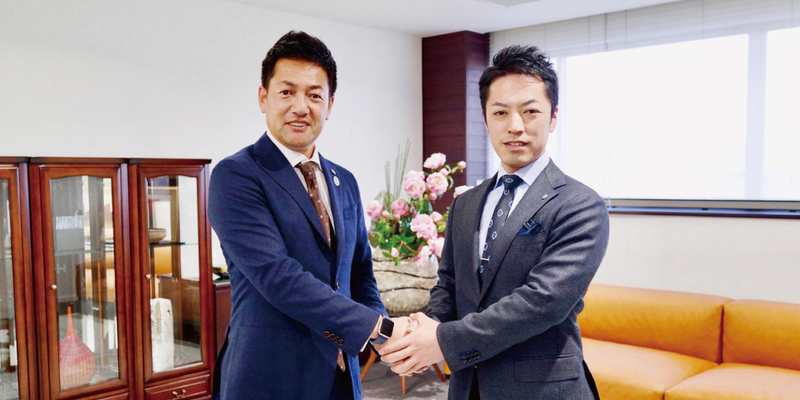 (Left：Masato Yoshizawa, CEO of FC Osaka、Right：Muneaki Takahata, General Manager of BIOBANK CO., LTD). This is the 7th year of our partnership. We will continue to give the team ongoing suport, in order to achieve their goal on promotion to J3. Our featured product “OM-X” logo will be printed on the chest part of the uniforms as always. FC Osaka has been promoted to JFL for the 2015 Season! FC Osaka became the 2nd winner in “38th All Japan Regional Football Promotion League Series” and was approved in the board of directors of December 10 and has been promoted to JFL for the 2015 season! FC Osaka will compete with 16 JFL teams and sets their new goal to become a member in J3. All Japan Senior championship was held from September 26 to October 1, 2014 to gain the right to challenge JFL. This championship is called the most severe games in Japan. And it is a gateway to become JFL team. 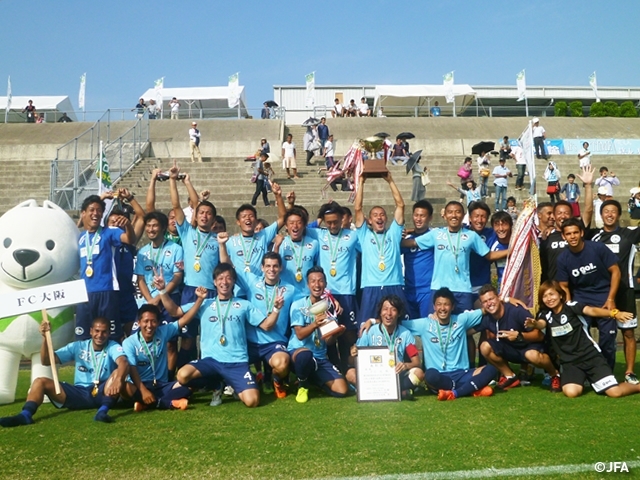 FC Osaka won in 2-0 in the finals and became the winner of this championship for the first time. FC Osaka sets up another goal to win “All Japan Regional Football Promotion League Series” held in November which would lead the team to become a member in JFL league. 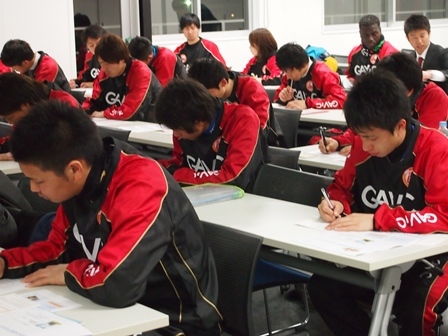 We held a seminar on nutrition to Japanese football club players in FC Osaka team for a better understanding of nutrition. Starting from now, the Registered Dietitian at our group company will be involved in nutritional management of FC Osaka team. On the day of the seminar, attendees varied in their experiences such as one with more than 10 years of career and the other on his first year. So, their knowledge on diet differed respectively. As it is very important to know how to intake nutrients before and after the game or during the game, we designed this seminar for them to establish a foundation on the knowledge of nutrition. We support Para athletes ! Mr. Matsunaga was selected as a member of the Japan national team for Rio de Janeiro! We held a seminar of dietary education for children in Fukushima! Participating in the voluntary cleanup activity! Held a nutrition seminar about diet and sports! Biobank members, participating in the voluntary cleanup activity! At the stadium in London to cheer for a Para athlete ! Biobank researches and develops health foods, cosmetic products and other products using only natural ingredients including lactic acid bacteria.